Jun 16th, 2013 Publié dans: Journals/Books. 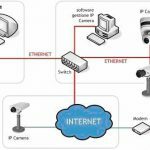 Nikom Suvonvorn, (2011), “Integrated Surveillance System for National Security – A Review”, International Journal of the Computer, the Internet and Management, Vol. 19 No. SP1, pp.6.2-6.8, ISSN: 0858-7027. Jun 16th, 2013 Publié dans: Proceedings. Oct 5th, 2009 Publié dans: Thesis & Technical. Jun 30th, 2009 Publié dans: ๑. My Research. May 4th, 2009 Publié dans: Proceedings. 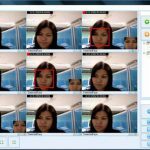 Sofina Yakhu and Nikom Suvonvorn, (2009), Key Frame Extraction from Video Sequence Using a Face Quality Index Applied to Surveillance System, In Proceedings of ECTI Conference on Application Research and Development (ECTI-CARD), May 4-6, 2009, Thailand, p.409-413. ISBN: 978-974-8285-62-7. Dec 1st, 2008 Publié dans: Proceedings. N. Suvonvorn and A.Chocksuriwong, (2008), Real-time face detection/identification for surveillance system, In Proceedings of IEEE International Conference on Electronic Design (ICED), December 1-3, 2008, Penang, Malaysia, p.1-5. ISBN: 978-1-4244-2315-6. Oct 8th, 2008 Publié dans: Proceedings. 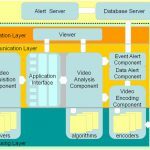 N. Suvonvorn, (2008), A Video Analysis Framework for Surveillance System, In Proceedings of IEEE 10th International Workshop on Multimedia Signal Processing, October 8-10, 2008, Cairns, Queensland, Australia, p.867-871. ISBN: 978-1-4244-2294-4. May 8th, 2008 Publié dans: Proceedings. N. Suvonvorn, (2008), A Generic Surveillance System, In Proceedings of 6th PSUEngineering Conference, May 8-9, 2008, Hat Yai, Songkhla, Thailand, p.204-208.